The grounds shop within UW Facilities at the University of Washington clears roads and walkways during snow events to ensure that campus is accessible to University community. To assist visitors, students, staff and faculty navigate campus during these events the grounds shop updates this layer in real time. The updates are automatically pushed to a public facing web map. Road and walkway closures are clearly communicated along with current and past removal efforts. 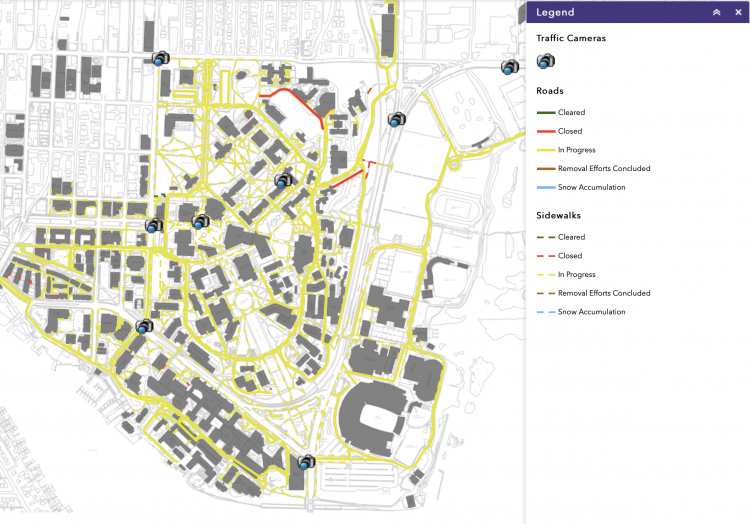 For the complete list of UW public maps including ADA Access Guide, please visit: UW Facilities GIS Public Maps.